Home All News News Vote for Scientific Breakthrough of the Year 2015! 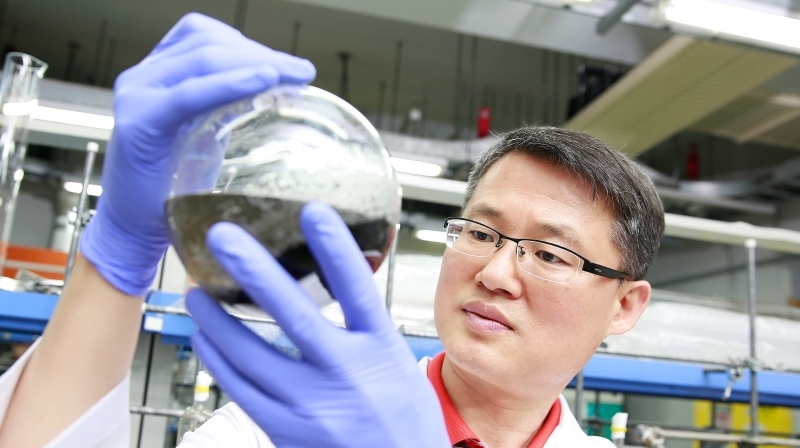 Prof. Jong-Beom Baek (School of Energy and Chemical Engineering), selected for the Top 10 Science News 2015 by KOFST. Vote for Scientific Breakthrough of the Year 2015! The public voting poll will open on Nov. 23rd, 2015 will close on Dec. 6, 2015. The public voting period for the Top 10 Science News 2015 by the Korean Federation of Science and Technology Societies (KOFST) has finally begun. The voting poll will open on November 23rd, 2015 will close on December 6, 2015. Since 2005, KOFST has been nominating top 10 news headlines every year to inspire an interest of the general public in science and technology. For this year, the selection committee has shortened the list to a total of 32 candidates from the latest breaking science and technology news and research results from December 1, 2014 to November 30, 2015. 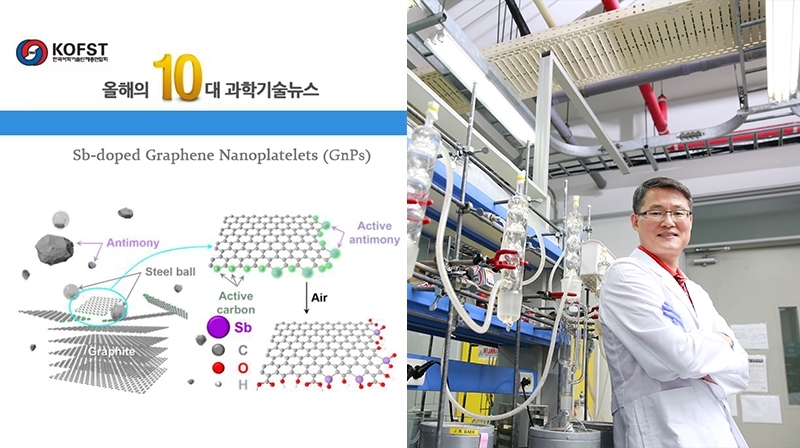 The Sb-doped graphene nanoplatelets (GnPs), published in Nature Communications has been also chosen as one of the candidates in the list. 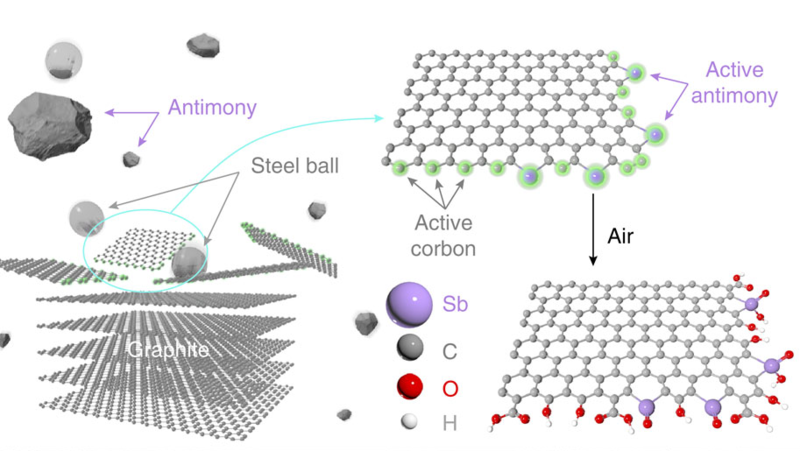 The joint research team, led by Prof. Jong-Beom Baek (School of Energy and Chemical Engineering) has successfully developed a low-cost and reusable electrode material for fuel cell by selectively plating antimony with graphene through a mechanochemical process. 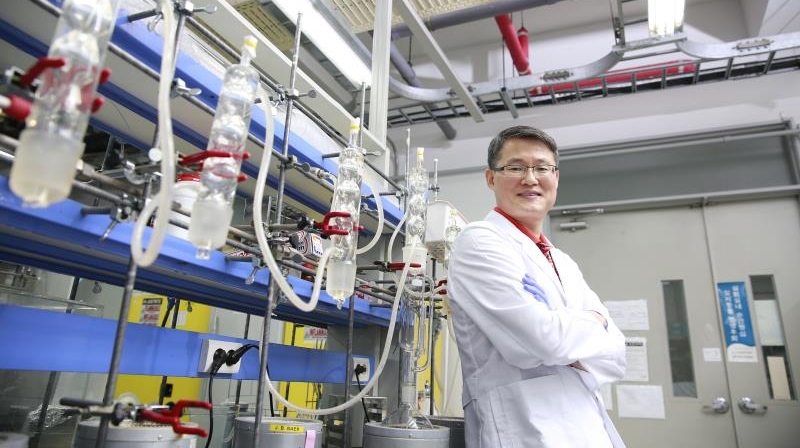 The breakthrough technology is expected to provide new insights and practocal methods for designing stable carbon-based electrocatalysts and accelerate the commercialization of graphene, thereby contributing greatly to the supply of industrial materials. A schematic showing the SbGnPs structure, being prepared by ball-milling graphite in the presence of solid antimony (Sb) in a ball-mill crusher. The nomination standards include contribution to science and technology development, interest of the general public, and contribution to the popularization of science. The 10 winning candidates will be chosen by evaluation from the selection committee, consisting of experts in each field of science and technology, and the results of public voting poll via the official online website (http://10news.kofst.or.kr).